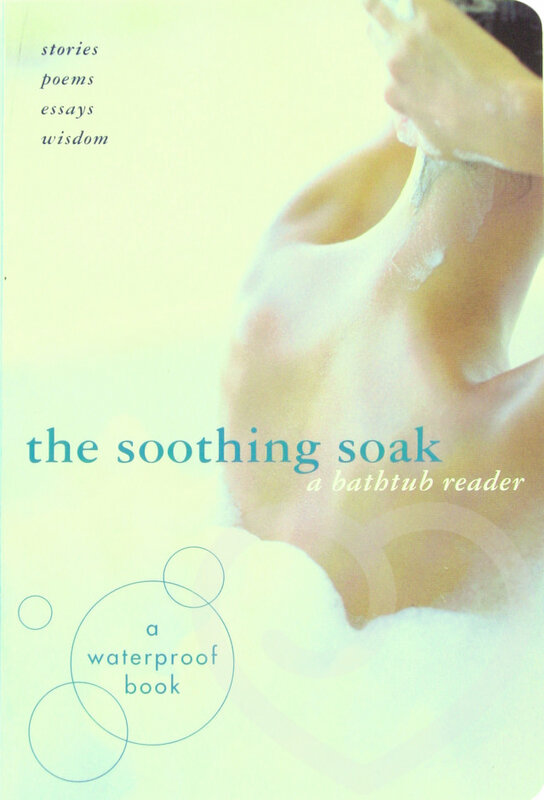 A collection of sensuous, spiritually uplifting water-themed stories, essays and poetry, The Soothing Soak is the perfect companion for bathers in search of solitude, relaxation and revelation. This is one of the first ever waterproof book for adults. The book features lyrical journeys of self discovery by authors such as Diane Ackerman, Elizabeth Bishop, A.S. Byatt, Edward Hirsch and Terry Tempest Williams, among others. Filled with luminous writings that celebrate the transcendent in the everyday, The Soothing soak is the perfect answer to a stressful day. A great romantic gift for anyone who enjoys relaxing in the Bath tub!